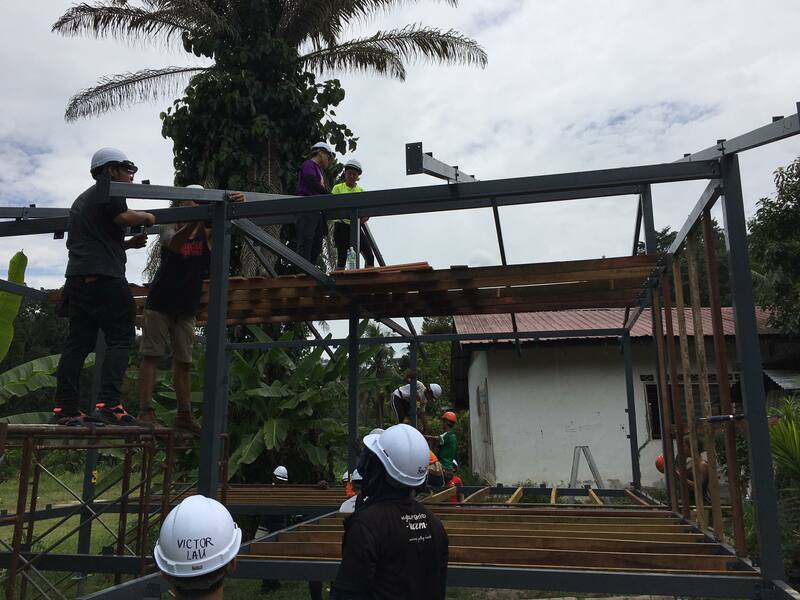 Over the weekend, a group of volunteers (with the help of Epic Home) built a home in Kampung Serendah for Martin, Ayu and their family. All this in just three days! If you think that doesn’t seem possible, read on below. 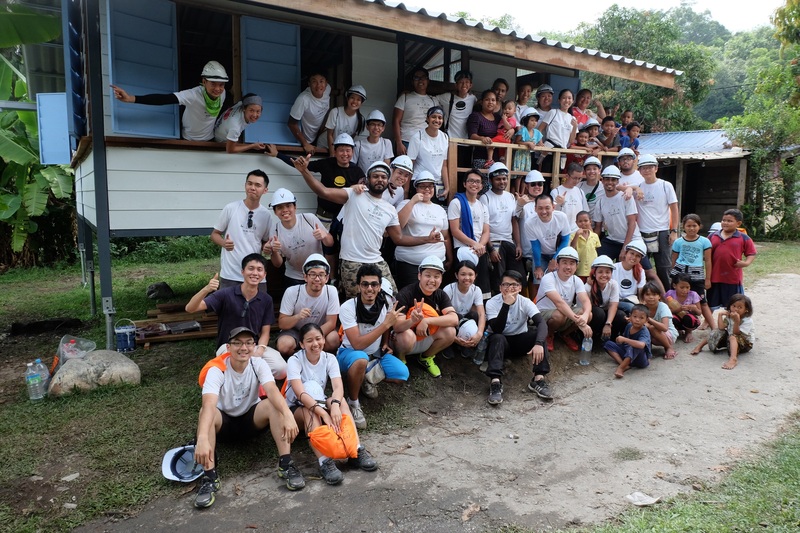 With the guidance of Specialist Builders from Epic Home, the group of 30 (which consisted of mBL Founders, Managers, Geeks, Fans, Epic Home Specialists and Donors) worked tirelessly to build the new home from scratch. 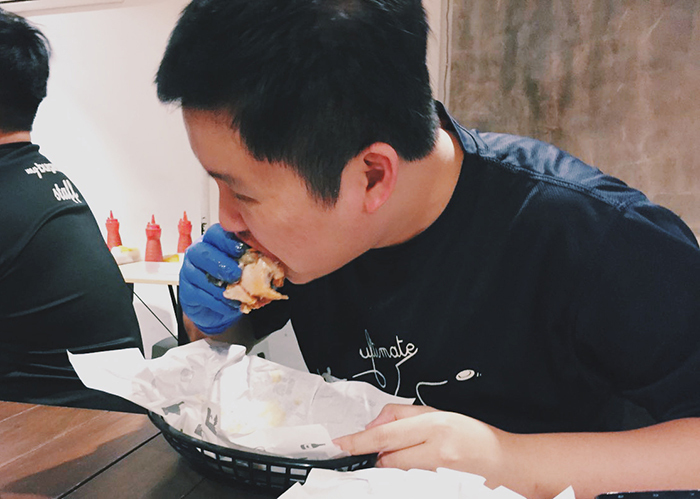 Andrew, the myBurgerLab Operations Manager said “There were definitely a few stressful and tiring moments especially when you feel like your body is going to cramp up and break. More so when you make mistakes in measurements and have to redo certain things with the already limited supply of raw materials available! However as the days passed, each and every one of us got better at what we did and suddenly you feel that sense of satisfaction after you have accomplished or done something good. 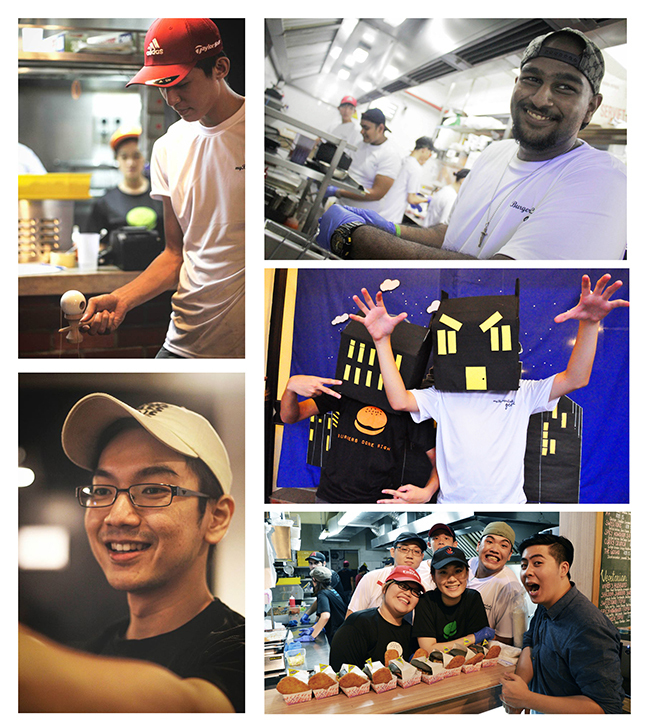 The myBurgerLab team would like to appreciate and say thank you to the Master Builders Dennis and Damon, Specialists – Jix, Michelle, Raymond and Elim and Coordinators Jasmine and Alvin. Thank you for refilling the water bottles and keeping us hydrated. Thank you for feeding us and making sure everyone was taken care of. Thank you for teaching us, and making sure everyone was safe. Building a house is no joke – structures had to be raised, wooden boards had to be cut and all these were fused together with screws, nails and glue. Working under the hot sun, it’s safe to say that the builders got a taste of the life of a construction worker. Cassandra, one of the builders said that “It was good to see people from different backgrounds come together to build a home for people. We created something from nothing and that is amazing, no words can describe the feeling. It looks easy when other people are drilling and nailing things, but it’s completely another thing when doing it yourself! 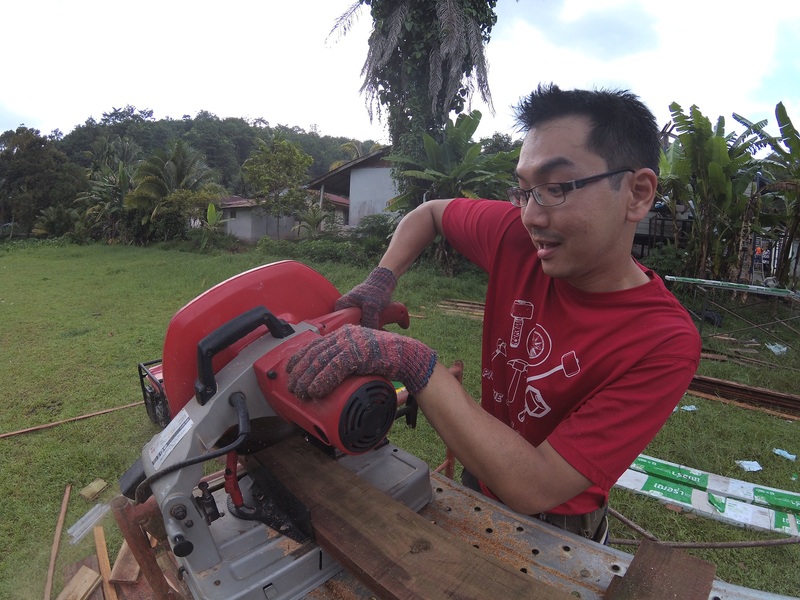 It’s actually not as easy as it seems, you need a lot of strength and determination to do it accurately because we’re building a home for a family. A simple mistake can just tumble the house and that is definitely not what we want to see. A huge thanks to the builders who volunteered their time, and effort to make this build a success. Sam, Jack, Wu Han, Eve, Shaun, Samantha, Melvin, Josh Wong, Arvindh, Chon Giap, Ibrahim, Ser Yee, Yen Cheng, John, Ikhwan, Thanussha, Jeremy, Ren Yi, Andrew, Chang Ming, Carr Mun, Phei Fern, Sajid, Kok Yin, Cassandra, Chris, Victor, Osama, Chloe, and Arfan – you guys were awesome! It was an experience that while challenging will be cemented (ba-dum-tss!) in the memories of the builders. To conclude, we’ll let Samantha, one of the donors share her story with you. “What we did with the EPIC Homes team was no easy feat. I was proud to be part of the “Great Wall team”, building up the walls of the house, painting and installing the windows, and having the war of our lives whilst hammering 3-inch nails and drilling screws into the thickest, strongest wood possible. Not too shabby for a couple of kids from the city. It was all hands on deck from the get go and not once did any volunteer give up. The synergy we had over the entire build was beyond amazing. Everyone was constantly looking out for each other and not once was there a disagreement or mishap. To conclude, we would like to say THANK YOU to FusionEx, Thiam Hock, Prima Avenue, BFM, Jeevan, Lexis Hotel Group, Mooi Hua, Li Kheng and everyone else who contributed to making this experience a success. None of this would have been possible without your help and support! 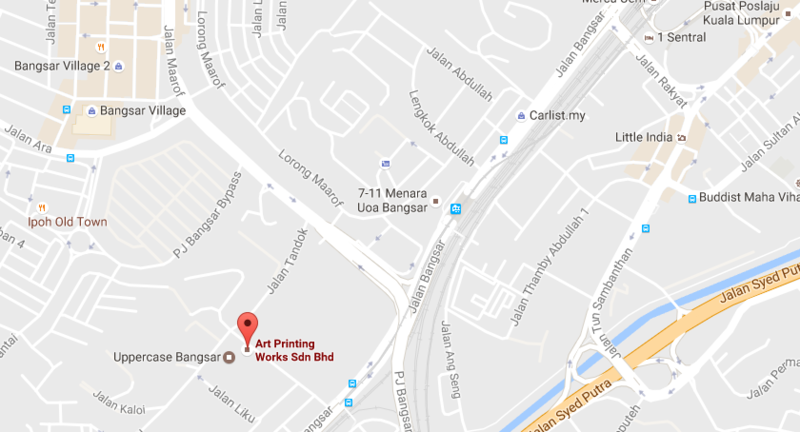 We are having our final week (ending October 1st) of pop up at Art Printing Works (APW), Bangsar. 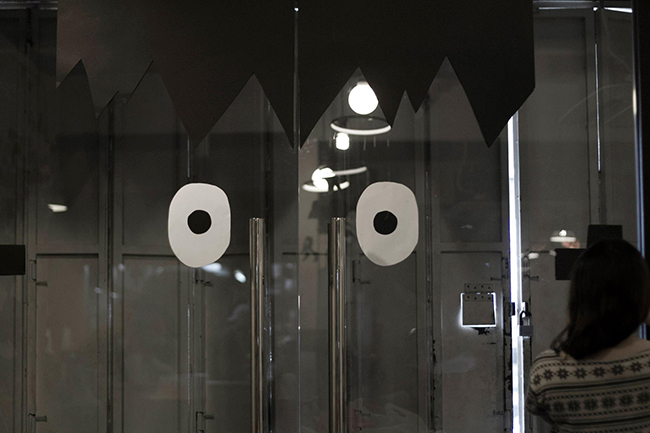 We are open from 12pm to 9pm, Thursdays – Saturday. You will be able to spot our geeky crew opposite the famous Pulp Coffee and Breakfast Thieves. We have been operating for the past 3 weeks and it was a great learning experience for us to know what works and what does not work to run a pop up. We are serving a limited menu (click here) in this pop up, but we have our first timer Nachos making its debut at a pop up. Other notable feature would be the Bait and Switch chicken burger and our ever popular secret menu burger, Jammin with Elvis (double it up to be a Fat Elvis if you dare). Deliveries are available as well. 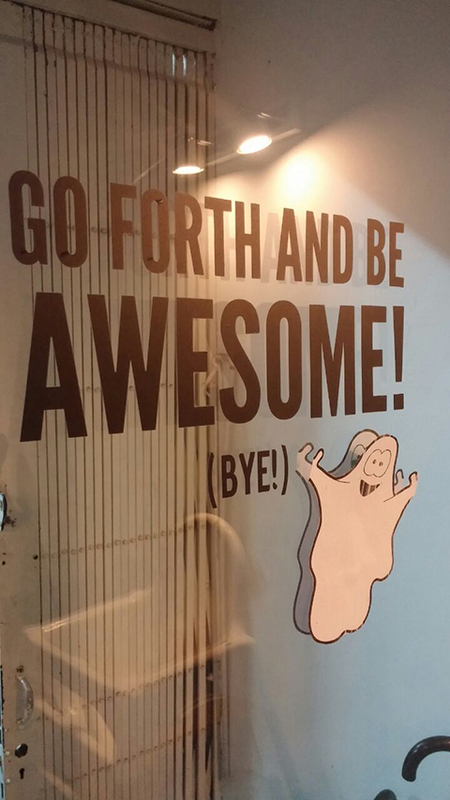 Just drop us a line at our geek line, 010 369 5275 and we will arrange the delivery for you. One day in advance notice is needed and free delivery is applicable for 5 burgers and above. Looking forward to serving you all. 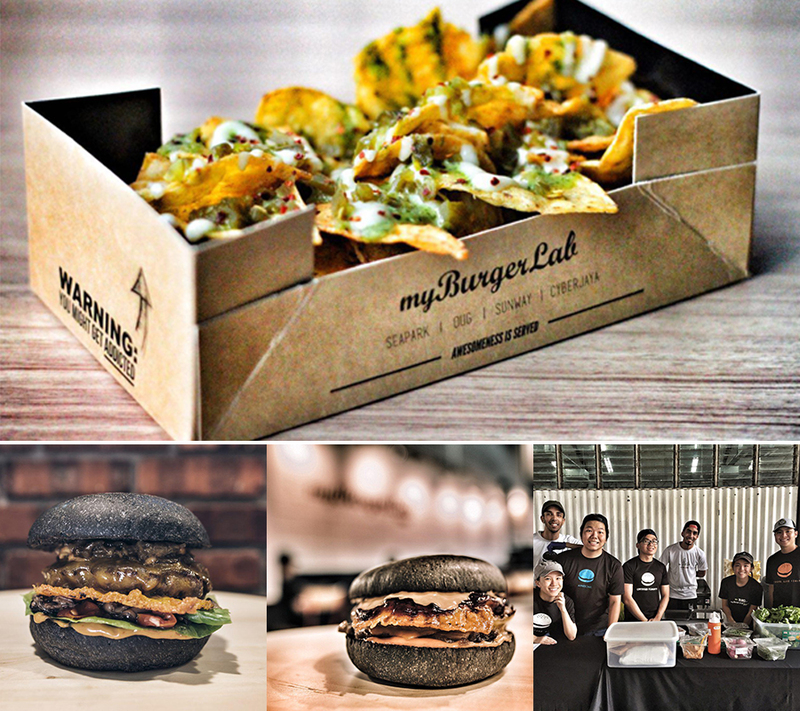 You may have recently heard about the myBurgerLab Pop Up that took place in Penang over the weekend. We were eager to hear how it all went as one could not help but sense the excitement and passion from the Geeks when they returned. Whilst bombarding them with questions, we felt their joy (and felt some envy) listening to their story. Here’s our geek from Penang, Jaslyne Joon, sharing her experience about her time at the Muntri Fest. “Hi there! 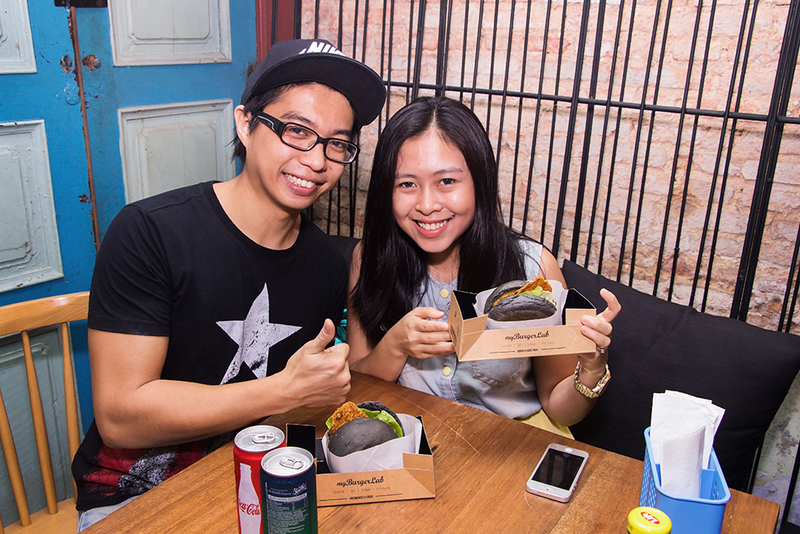 Many of my friends who supported myBurgerlab were really excited when they heard about the Pop Up in Penang. I personally as a geek, really looked forward to reunite with the team. 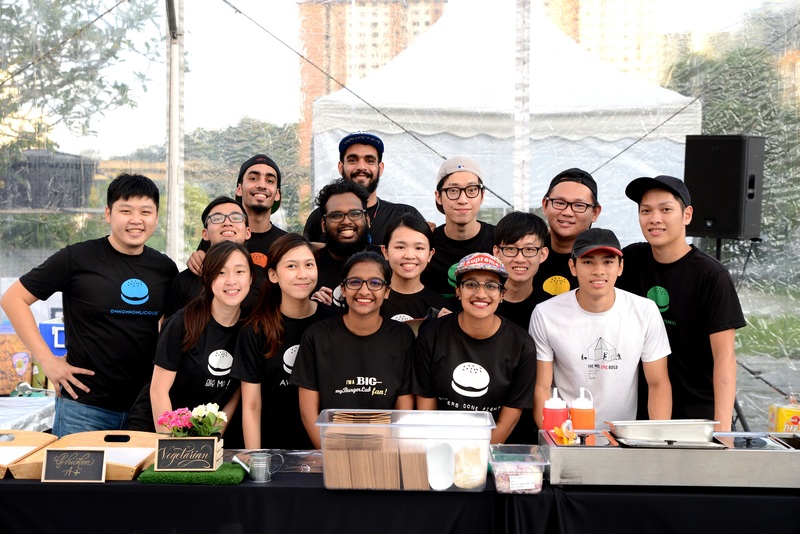 This was my third event – the first was when I purposely took a bus down from Penang to KL to help with myBurgerlab’s second anniversary and the second was the Samsung Moonlight Cinema . The thing that keeps bringing me back is the special element of anticipation from the crowd and from the Geeks you meet on shift. To be honest, I’m not very much of a F&B person. But the culture here which embraces your weirdness makes you wanna return. After two years of missing out, you can still camouflage into the kitchen like a superstar geek. 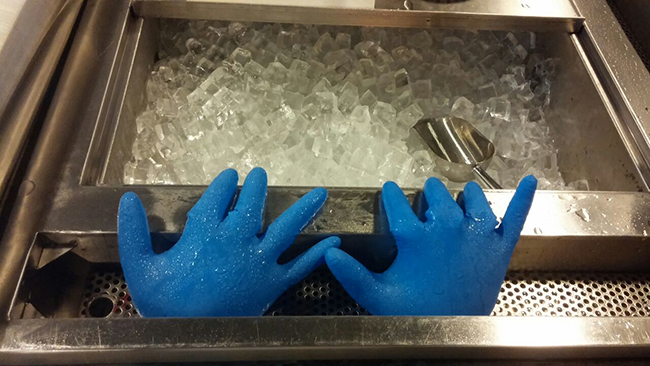 It just makes you feel super important that you’re part of someone else’s amazing burger experience. It still feels like the awesome kitchen back at Seapark. 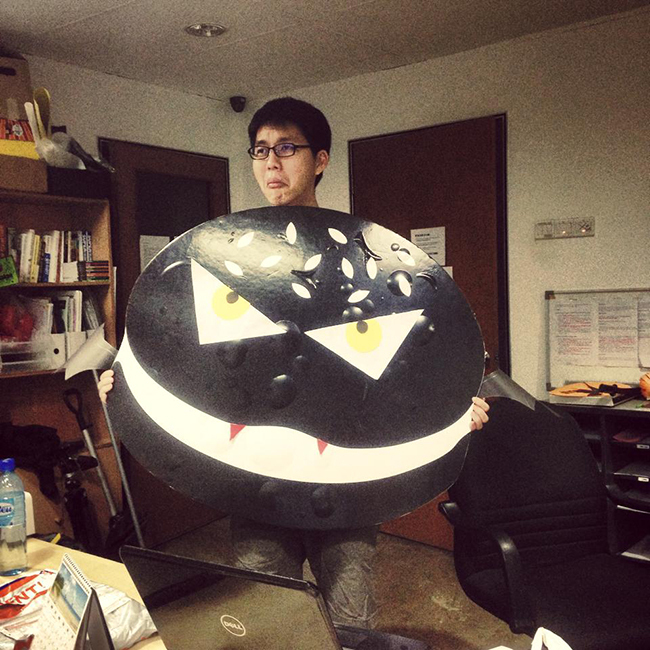 That same awesome vibe when our geek Victor goes crazy running around store with his horse “mask”. Here, we practically live up to the ’work hard and play hard’ tagline. 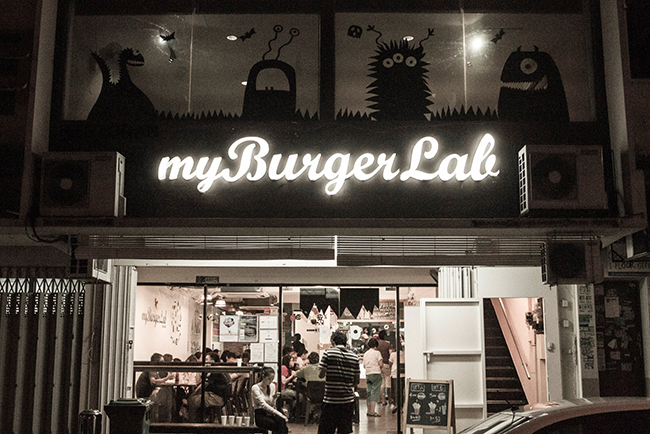 Having myBurgerlab come to Penang, it brings a whole lot of geekiness and burger awesomeness to Penang. Spoken and expressed with a pure heart indeed. “Be Passionate & Dedicated” is one of our cultures that Jaslyn has clearly embraced when she works and in the things she commits herself to even after she has left us. 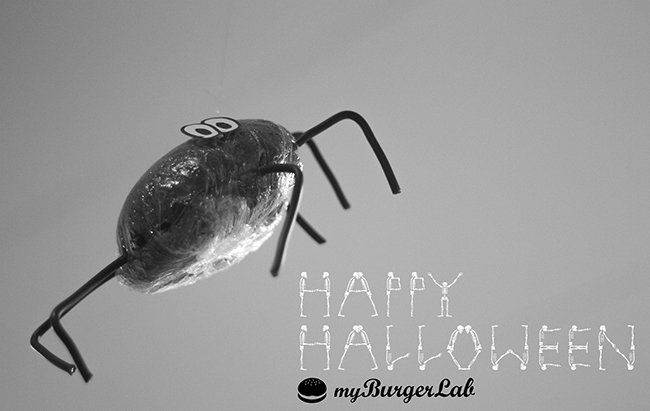 We at myBurgerLab would like to welcome all of you who are eager to be part of this family. Being in her shoes isn’t impossible, you too can be that superstar geek! In conjunction with the Muntri Festival, we took over the kitchen at Inch Food Bar (located at 44 Muntri Street) for 3 days of food, music, drinks and most importantly, fun. 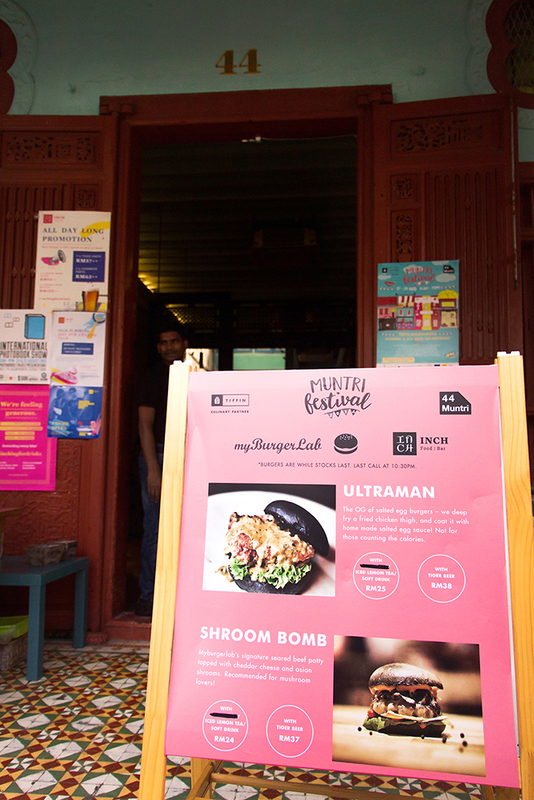 It all started in early April, when FreeForm, part of the organising committee for Muntri Festival, reached out to us with an opportunity to open a Pop Up in Penang over 3 days. We were first excited, but concerned on whether it was actually possible to pull it off on both production and retail execution. Selling our burgers in Penang has always been a dream to die for, and this was a golden opportunity for us after 4 years of putting the idea on hold. 3 weeks of discussion, budgeting and planning, we finally decided to give it a shot. 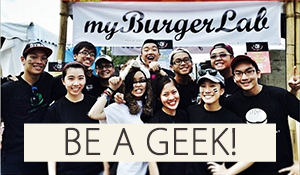 In our minds, we just took a risk by assuming that staffing should be smooth in the summer months, and we have over 500 geeks to choose from to send down a quality crew to feed those hungry souls in Penang. 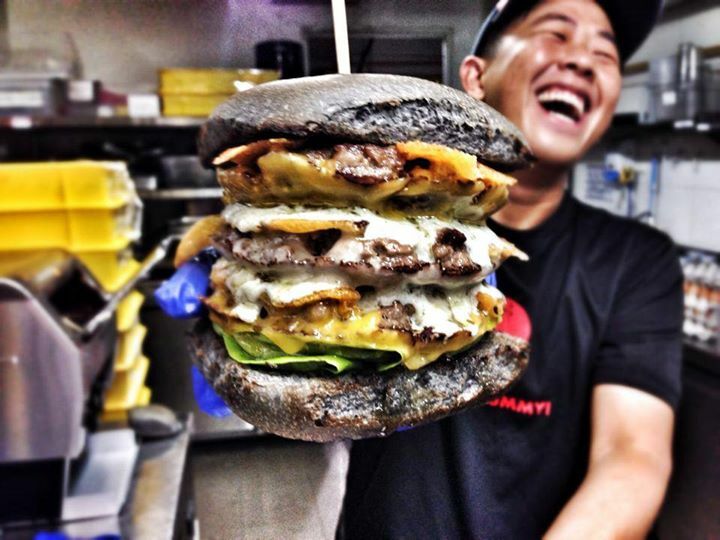 Of all the 40 variety burgers we have under our belt, we decided to serve our event staple Shroom Boom and this year’s legendary Ultraman burger. It was definitely not an easy choice as we had to balance what is feasible for our production crew to prepare and what equipments that are available at Inch. During the first night (Aug 26) at Inch, we were selling 180 burgers by the first 2 hours and we were sold out (350 burgers) for the night by 9.30pm. We initially planned to sell 1200 burgers throughout the 3 days, but after the first 2 hours on Friday, we knew we had to ask for a top up stock from KL. The response was really overwhelming. Thanks for the support Penang peeps! Our team then organized a van specially to deliver 300 more buns on Saturday, which brought up the total number of burgers to 1500. 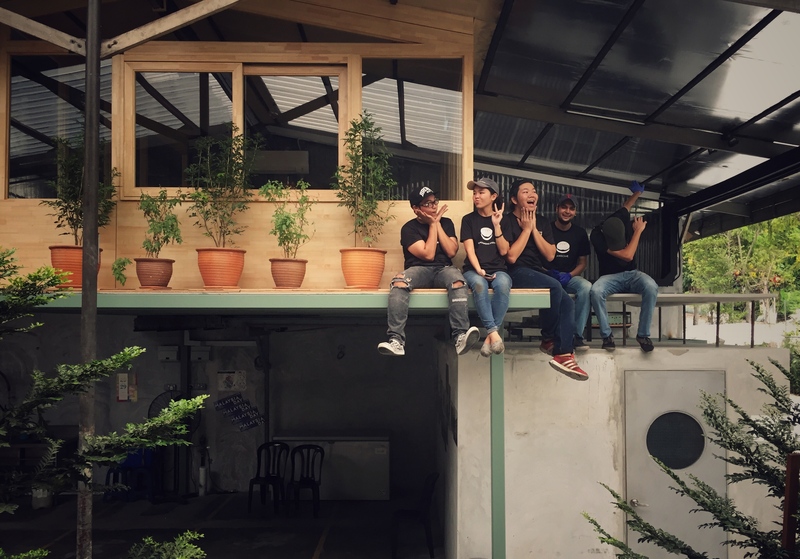 That was the maximum capacity for production as the team back in KL is in the midst of expanding our central kitchen thus limiting production. 30 hours of burger making, and 1500 burgers later how did it go? 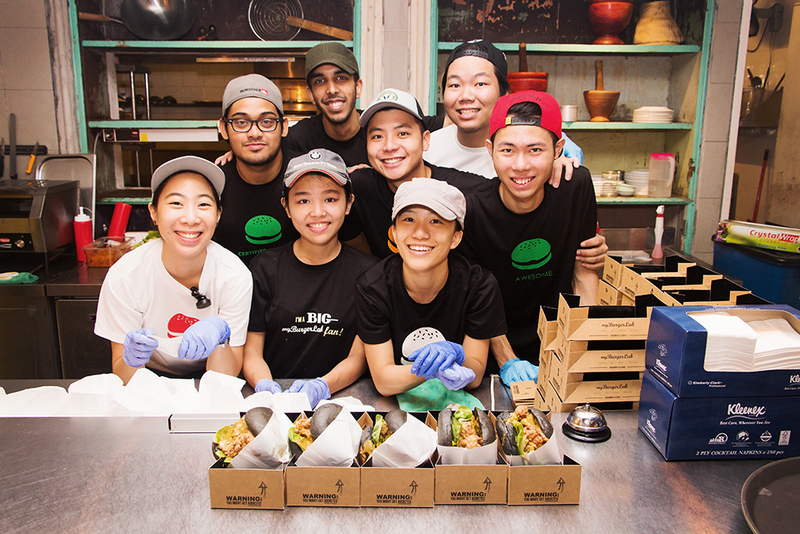 Kah Fai, our operations manager said “Everything went smoothly, we were expecting hiccups here and there but the team was strong and gave it their all as a team and we managed to pull through.” We were concerned about the amount of buns, and had to do a top up. All just to make sure we had enough to serve on Sunday. “Am really honoured to be part of this Penang Team and I look forward to more pop ups like this! What a crowd! Thanks to all Penang-ians for having us! 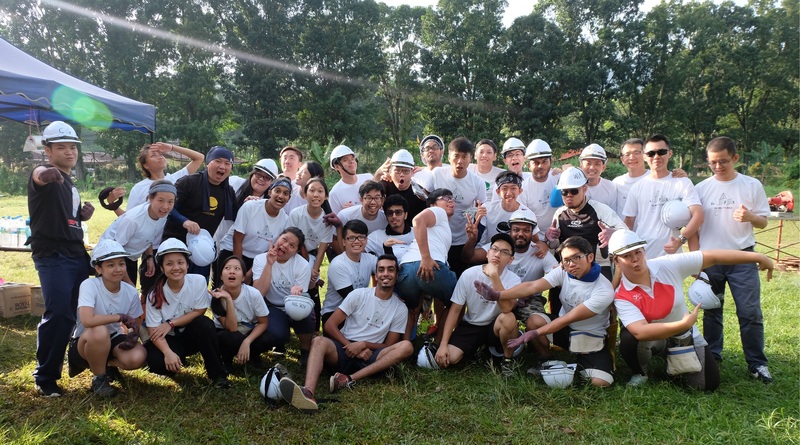 Such an intense experience (food+work), but it’s all worth it and definitely would be something that I will look back one day”, shared by our geek Cheong Chun. 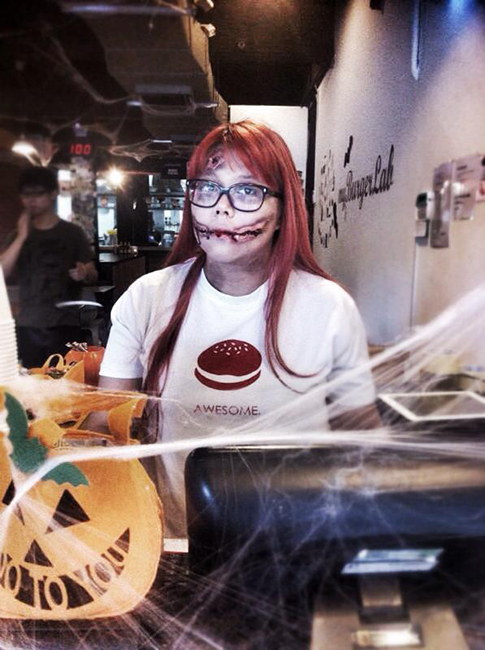 Our Penang Geek, Joon, was excited to be serving burgers at her home state! 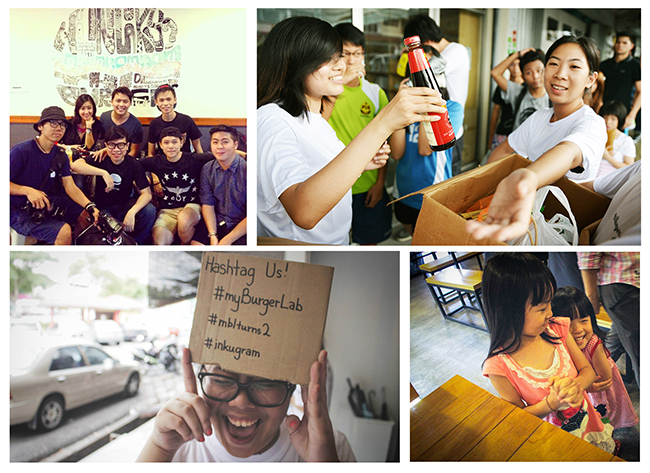 “Haha, many of my friends who supported myBurgerlab really was excited when they pop up in Penang over the weekend. I was personally really looking forward to reunite with the team after working in Hong Kong for 2 years. 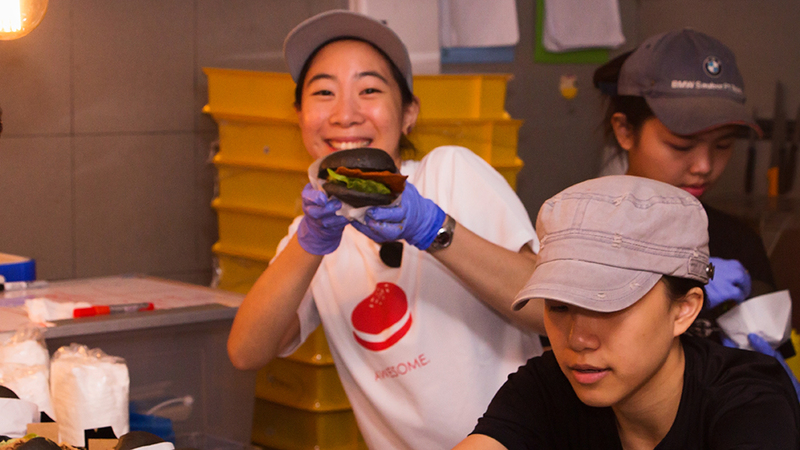 I had loads of fun serving in my home state and it being my third event with myBurgerLab”, expressed Joon. 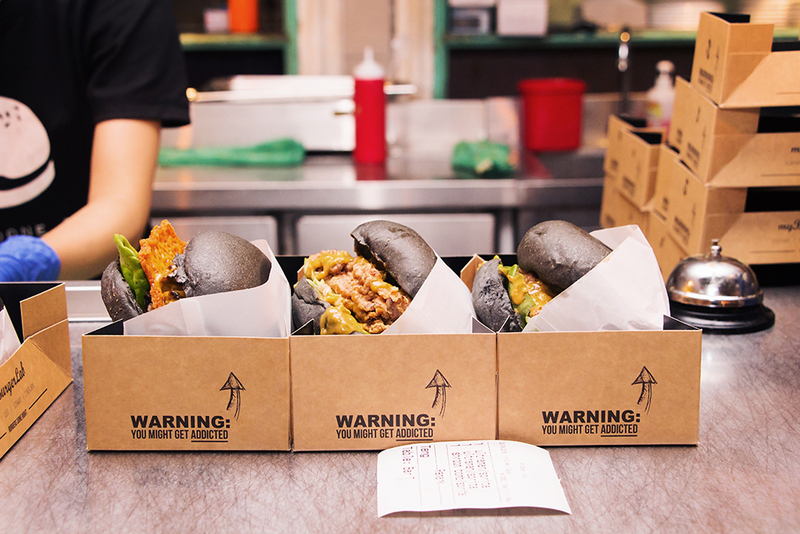 “This experience in Penang has been one of my best experiences in myBurgerLab. The guests and people of Penang are also a bunch of really amazing people, whom, in my opinion, make the BEST street food I have ever tasted. I had an amazing time”, quoted our geek Brian. “Mind you the past weekend has been an experience like never before. I was a tourist in my own country. Thank you Penang you’ve been amazing! Im proud to have served you. Standing for long hours and serving burgers to Penangites could not have been any better experience if it’s weren’t for the six people I sailed with. These guys kept me going the whole way. To the Chief, Kah Fai, thank you for your amazing leadership it made this trip a memorable one”, said Arfan. We would like to thank FreeForm for being very supportive and accommodating to our requests as well as Inch for hosting us at their space. Thanks to all the customers, friends and family members that came in support and helped spread the news of our first ever Pop Up out of Klang Valley. We hope really hope many of you had a great time with us over the weekend. Hope to see you guys in our outlet whenever you are in KL. 2nd March, the day our fellow geeks marched into battle against each other, to come up with the most unique and mouth-watering burgers they could imagine. The battle was intense, the kitchen was on fire (not literally of course). The smell of adrenaline filled the air, as well as the aroma of juicy patties being cooked. First up, we were introduced to the glorious city of Mumbai by sisters Thanussha and Natasha. 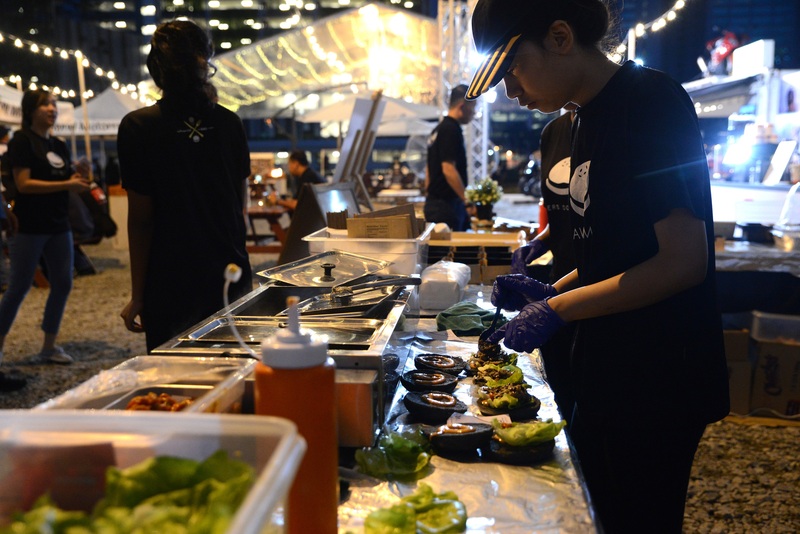 With each bite bursting with spices and flavors, The Mumbai Bite, certainly did kickstart the battle brightly, setting the stage for what was to become a very competitive night of burger battling. 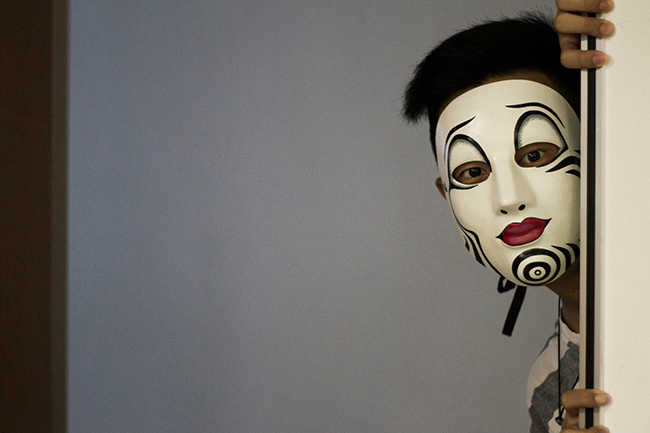 Next up was Brian Ee, who decided it was time to bring the audiences back to where it all started, Malaysia. Inspired by a Malaysia favorite (Nasi Lemak) Brian wrapped up the local delight and constructed ‘The Malaysian Favourite’. 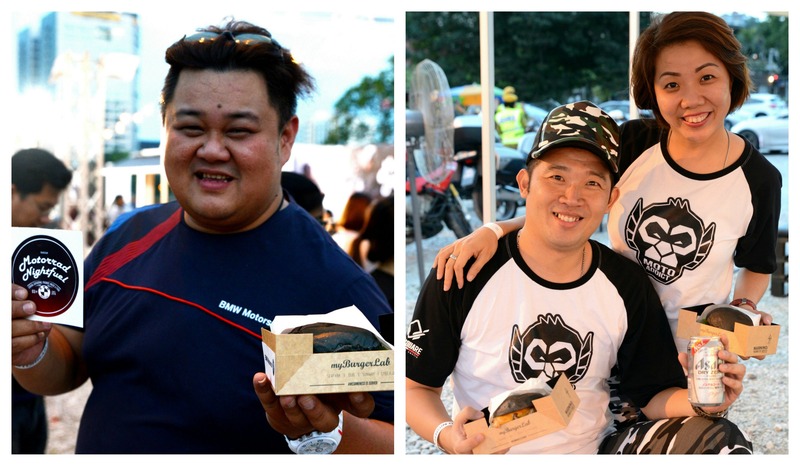 Crouching up behind Brian is KungFu duo, Chi Yan and Kong Jun, together with their burger, ‘KungFu Pow!’. 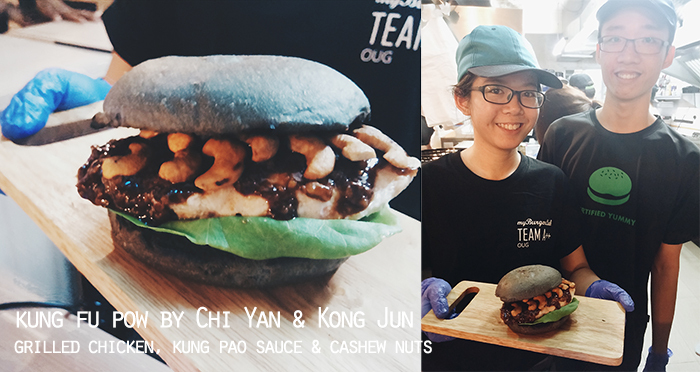 Aiming to knock the judges off their seats, Chi Yan and Kong Jun came up with a chicken burger topped with Kung Pao sauce, topped with roasted cashew nuts. Following the KungFu Pow, was Edmund and Eugene’s reinvention of the Caesar Salad, a caesar salad burger. What better way to illustrate the house of the leader of an empire? A glorious burger of course! After having such a variety of flavorful burgers, it was time to spice things up. Tom Yum lovers Rachel and Jing Jia brought in a Fried Oyster Mushroom and Fried Squid Tom Yum burger. With their homemade Tom Yum mayo sauce being the star of the burger, audiences couldn’t help but to ask for more of the ‘Tom Yum Goong’. We’re almost done with the battle! Next was Victor’s burger, ‘The F Word’. F for FISH! (Also the only fish burger in the competition). Hoping to swim into victory, Victor prepared a fried fish burger topped with sauce made with Feta Cheese, Yogurt and Cucumber. Last but not least, Celestine and Jeremy crackled the audience up with their ‘Crackle Crunch’! Ending the battle on a crunchy note, the two amigos topped their fried chicken patty with a perfectly fried hash brown, topped with Queso (a cheese sauce) and Nachos. 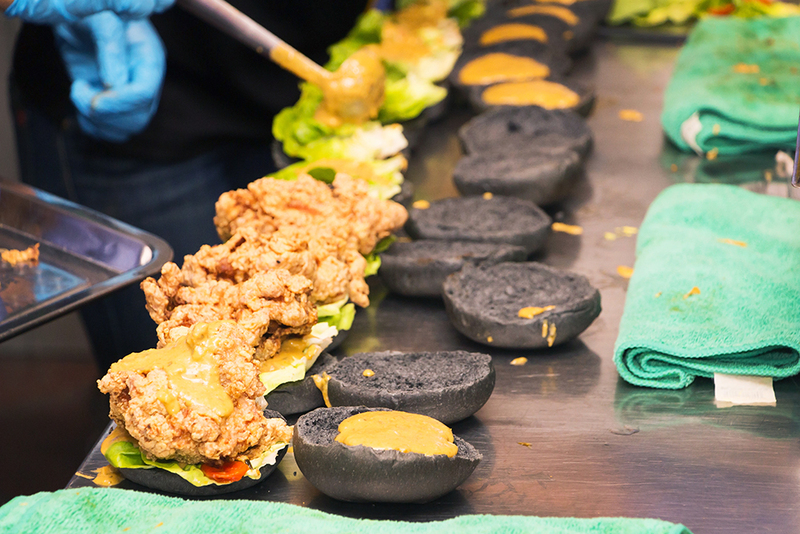 There is only one word to describe the crackle crunch, it was certainly nacho-rific! And finally, the climax of the battle… Awaiting the results from the judges! 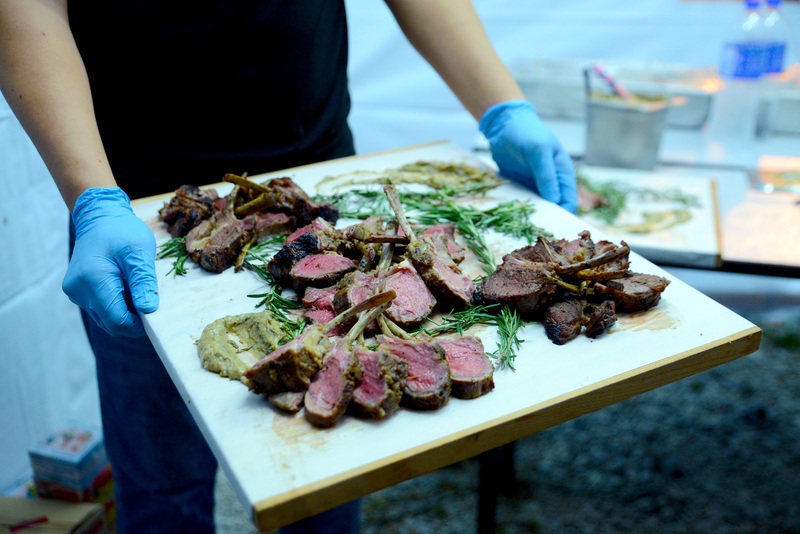 Though none of the burgers qualified for the cash prize, there were several highlights from the night. The ‘Mumbai Bite’ interested judges with its combination of heat, spice and texture, while the ‘Tom Yum Goong’ spiced up the judges taste buds. The star of the burger being the Tom Yum mayo, spicy yet zesty and creamy at the same time. These were the burgers with the most potential from the night. With some minor changes these 2 burgers may be coming to you soon? Only time will tell! Well, that was one of the many many intense events to come. 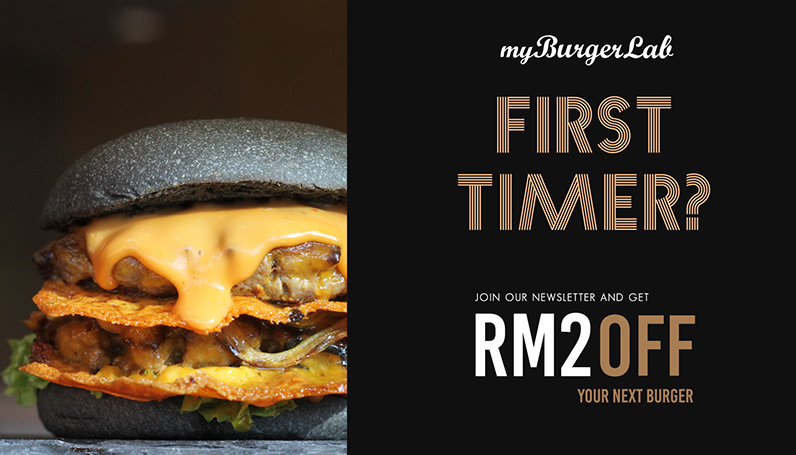 Make sure you subscribe to our newsletter and follow us on Facebook, Twitter and Instagram @myburgerlab to keep yourself updated! Thank you to all of you for the wonderful amazing 2014 that has been. Here’s a list of things if you missed out that we have done this year in 2014. We wanted to make Monday awesome for the neighbourhood!! So we did! The Zoidberger: Garlic Butter Prawn/s on top of seared Beef Patty, Fish Curry Mayo, Blueberry Jam, and crunchy Rempenyet. We wanted to support a geeks dream to bake and run her own business. So, Project C is born! Proud to announce we suply to 15 different cafes in KL, Redang Island and also Ipoh! We played Fun Run with you! We found out lots of you play this addictive game so we decided to join in the fun! Winner got a free burger from us! We launched a limited edition Unique Loyalty Card that requires you to travel around to get your free burger! The Seattle: A toasted soft sugar donut bun, an oozy fried egg, some sautéed mushroom and a crispy beef patty topped with Sharp Cheddar done two ways. Where’s the coffee you ask? Oh, the sauce is an Espresso* infused Umami mayo. We are now part of the Samsung Life app which rewards Samsung users with special discounts! Due to popular demand, we brought back these two powerhouse. They are itching for a return in the new year! We partied and served at FMFA! For the second year in a row, we were right at the heart of the biggest party of the year! We loved the idea of Earth Hour and we felt that just once a year is not enough! So we committed ourselves to reminding everyone of being watchful of their Carbon Footprint. We pulled off another successful April Fools prank! Visit by Youtube Superstars – Kina Grannis, Madilyn Bailey, Jun Curry Ahn, David Choi, Jason Chen, Jinnyboy and Reuben. Collab with RandomAlphabet and made Sarong Burger. Remember the 2048 game!? We made our own! This came a bit late but it still made our day! Launched Gojira: It takes a Beast to defeat another. It was an awesome week serving burgers under the stars and watching movies on the super big screen! 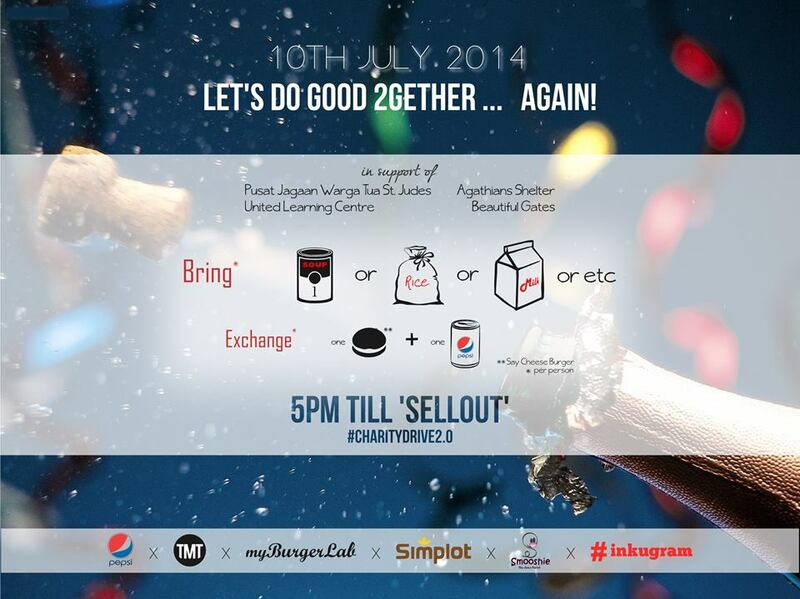 Collab with Fried Chillies: ieatburger Event. Proud to be a part of such a glorious event! 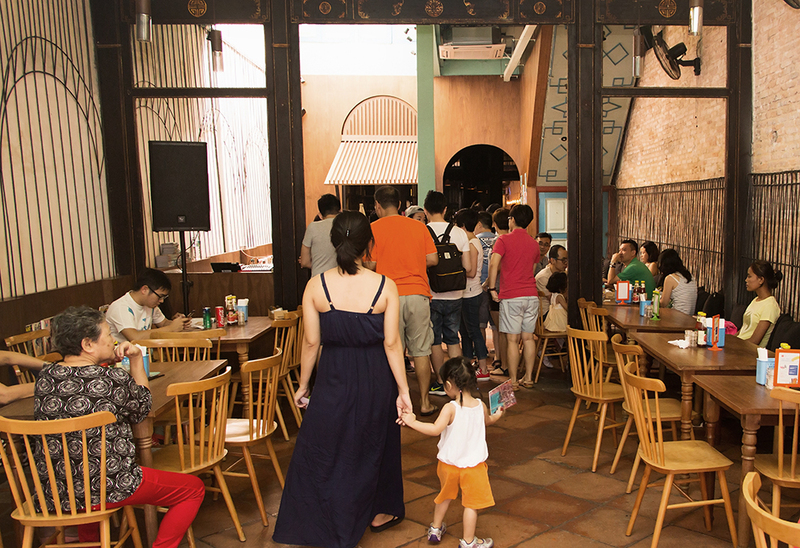 20 TOP KL burger joints in one location! We manage to secure a good deal with myTeksi to fetch our customers to our Labs for a discounted fare! 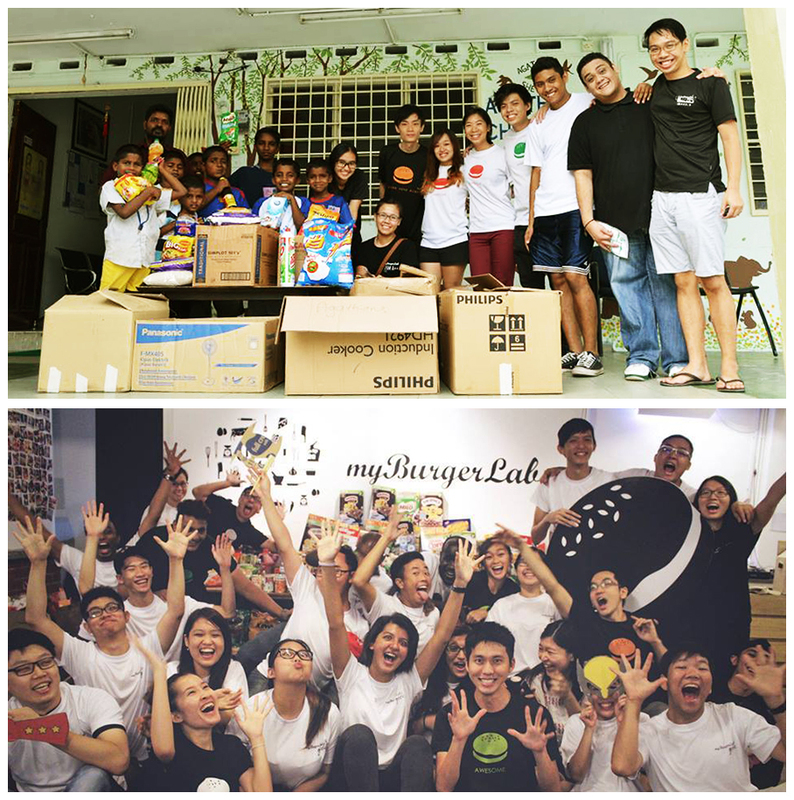 The managers and founders of myBurgerLab cooked for the staff instead as an appreciation for their effort. We also invited their parents over for a get together to understand what environment their kids are working at. Lots of love all around! As a tribute to KFC’s DoubleDown, we made our own! 2x Fried Chicken Schnitzel as Buns. In the middle we have a duo of Sharp Cheddar & Swiss Cheese, Chicken Pâté, Soggy Fries, and a sweet Garlic Honey Soy Sauce. In conjunction if the launch of BizSmart Academy by Alliance Bank, we made a burger called ‘Like A Boss’ for them! Received Certificate of Excellence from TripAdvisor. We were so surprised to receive such a wonderful news from Trip Advisor! We won a Certificate of Excellence! At the same time, we are rated as the No1 restaurant in PJ on Trip Advisor too! Launch of Not-So-Original Rendang Burger. After the success that is the Satay Burger, we were called to make another locally flavoured burger, hence The Rendang Burger with fresh Mango Cubes! As part of our yearly commitment to do good with our customers, we held a Canned Food Charity Drive! We even had The Ming Thing and friends to help us give our free burgers! We launched our range of mini burgers to meet the demand for people who have small appetites and wanna share different varieties of burgers. We ran the Colour Run! The most colourful run of the year and we were there! Did you see us!? Endorse Goget as our Delivery Service. 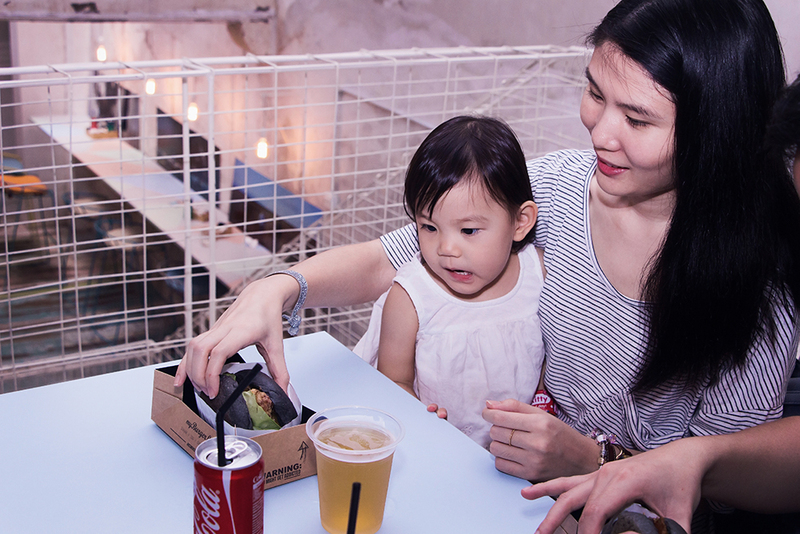 You can now get myBurgerLab Burgers using the services of Goget! 50,000 Likes on Facebook and Collab with Groupon. As a way to say thank you for the great support given to us, we collaborate with Groupon and gave our an awesome deal! 11,000 Groupons were sold out in 4 days! Woah! We are very honoured to be invited by BFM to be a part of their BFM Enterprise Breakaway session! We were at Digi Annual Staff Appreciation event. Digi asked to feed their hardworking staff on their annual Appreciation Day! We can’t say no! They sure know how to party! We celebrated Halloween in style! We saw 3 of our Seniors Geeks graduated from KDU College! We are so proud of these Geeks! So happy we could be a part of their journey into adulthood. 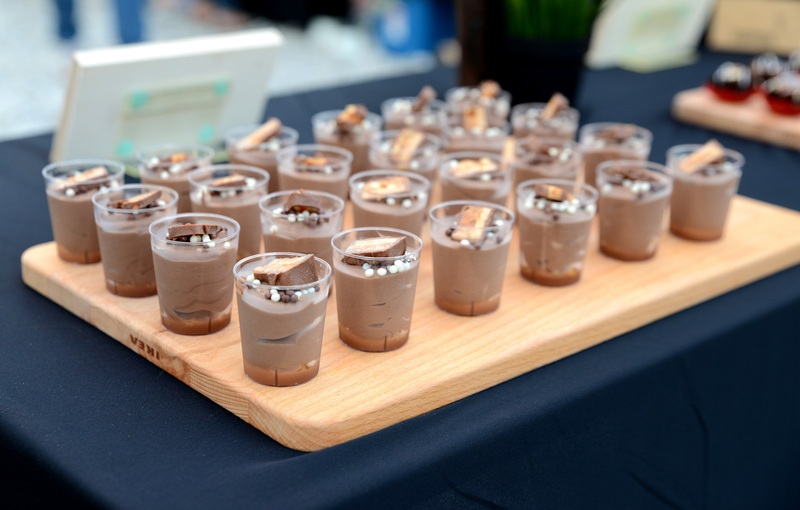 We have our own newsletter where we share our news, experience, recipes and etc with you! We decided it’s time we did our part to cheer up the neighbourhood again! It is our plan to slowly grow organically and sustainably. Our 3rd Lab showcase a little more confidence and maturity as we grow. Thanks for the support thus far! We hope to grow with you and continue to serve you in the years to come! Our Christmas Present to you! 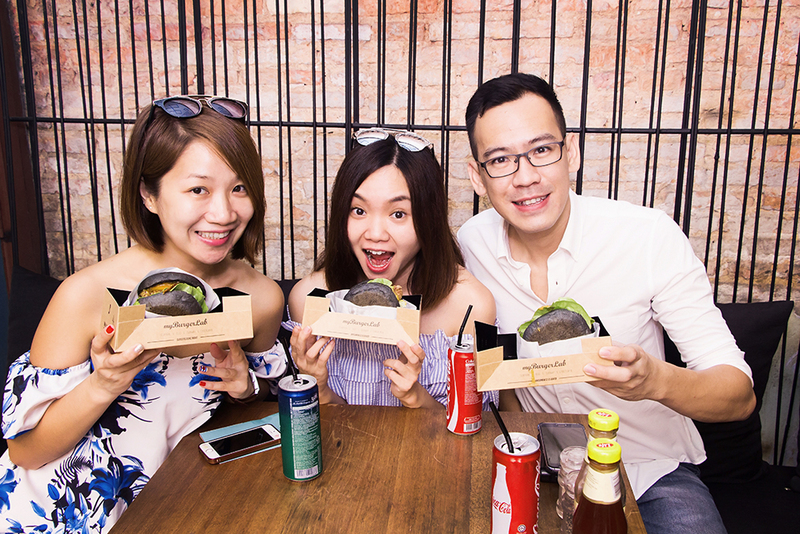 Rm100 for 25 burgers! Think you can balance a 10cents coin on a lemon? Try it and win rm50! Someone did! We hosted WongFu Productions and friends at Sunway Lab! OMG! It’s Phil and Wesley from Wongfu Productions! Along with David Choi, JinnyBoy an friends visited! We even played Bball and Ultimate Frisbee with them! We are now officially selling Salads! Wohoo! More to come! Alongside with Shoppertise, we are proud to have hosted a Meet & Greet with Jin and Reuben from JinnyboyTV! Shoooo CUTE! Thanks to Baby Jezz, all babies and kids under 8 eat for free! And we want to end the year with something new to look forward to! Wanna try our Hotdawgs!? Halloween is always a fun day for many and we started the tradition of decorating our stores since we open our doors in 2012. So this year was actually our 3rd time setting up our place for decoration. A big shoutout to our geeks and management team for putting up a good experience for the people, though we didn’t dress up as evil scientist making your burgers (*Apologies for that). 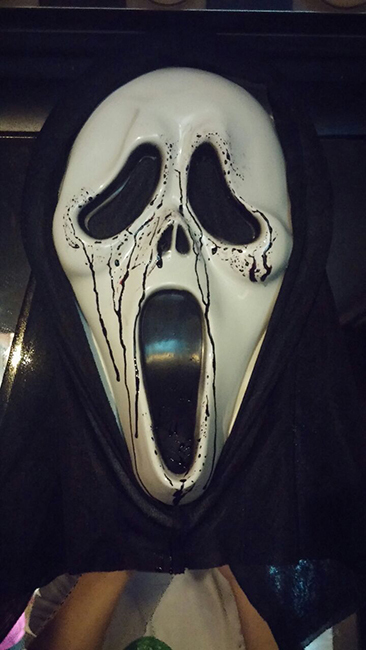 Here are the 10 cool things we did this year for Halloween. 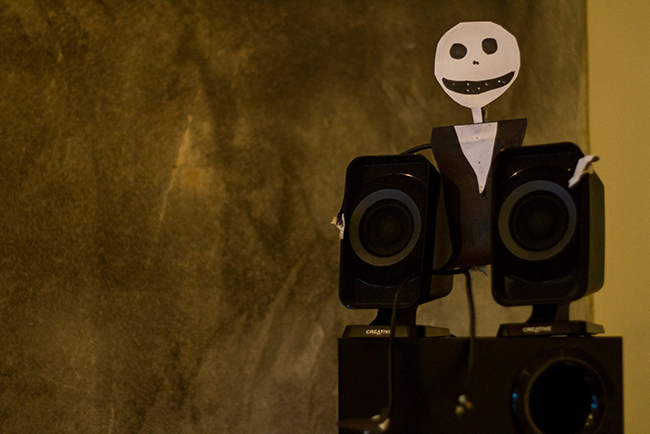 Have any cool Halloween ideas to suggest to us next year? Leave them at the comment below! We would like to take this time to thank all of you who have contributed to the event. The 4 homes – Agathians Shelter, United Learning Center, Beautiful Gates Foundation (Puchong) & St Jude’s Home have expressed gratitude to all of you who were part of this awesome donation drive. You have no idea how much of difference all of you have made to their lives with all the donation provided. 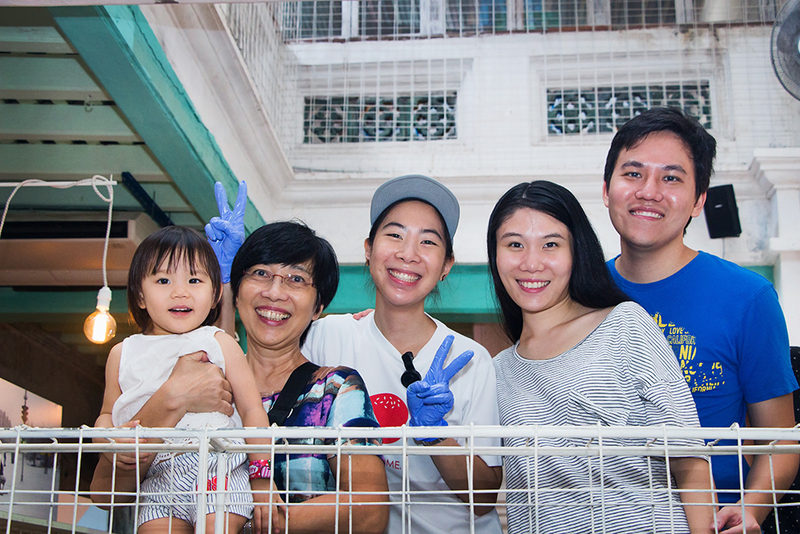 We have racked up to about RM 4000 in cash and close to 50 boxes of food items in just one day! On a side note, the homes above are looking out for volunteers, so if you or your friends who would like to take your time and contribute back to them, do contact them with the links above to find out how you can contribute further. As for us, we had so much fun serving all of you who came. 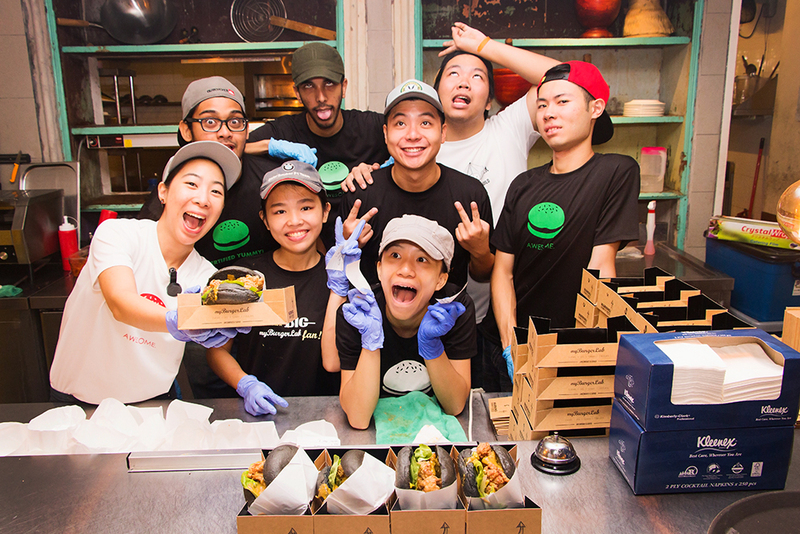 Firstly, a big thank you goes out to the gang from The Ming Thing and friends for giving up their time and also actually getting their hands dirty working for a full 4-5 hours helping giving out burgers, drinks, cleaning tables and etc to our customers. Special mention goes to MingHan, MingYue, LihRen, Michelle Lee, Fiqa, Bryan Lim, Bryzoid, Jeremy Choy, Raffi Thng, Jean Chu, Dan Khoo, Ernest Ng, Dennis Yin, Ivan, Jing Xiu and Darren Wong. (We’re srry if we left out any names) You were all amazing and we are totally entertained by your antics! The next shoutout goes to our awesome Geeks, who all volunteered their time (yes, all ‘pro bono’) to help out at both Labs. We can sing praises when it comes to the Geeks, they are all hardworking, loyal and just generally good people! We are truly fortunate to be working side by side with them, and we can’t ask for a better team. Loving you guys and girls a lot! As y’all know by now, it’s our Birthday tomorrow Thursday (10th July) and we have ONE THOUSAND EIGHT HUNDRED ‘Say Cheese’ burgers with drinks and Hashbrown to give out! – We will be giving out these free burger at both Seapark and OUG. – As per usual we start at 5pm. – We have a 1 person 1 Burger policy. – Yes, The Ming Thing and gang will be helping out that day. – Our kind sponsors are Simplot, Smooshie Juice, Pepsi, and inkugram. All donations will go to these charitable homes: St. Judes Old Folks Home, Agathians Orphanage, United Learning Centre & Beautiful Gates. We don’t usually say this, but any ‘likes’ and ‘shares’ on this post is much appreciated! Look what we collected last year! Also, here’s a list of things you can help bring. We hope you can contribute more than the required amount! If it’s not too much to ask, we would also appreciate it if the items exchanged has a value between rm5-rm10 (or more!). Thank you and we’ll see you soon!